Jonah Peretti of BuzzFeed, pictured at the TechCrunch Disrupt NY 2013 on April 29, 2013, says BuzzFeed can get rid of old posts because it wasn’t a media company when they were published. Thirty-Nine Listicles Whose Sourcing Is Shaky at Best. One Writer Fired for Plagiarism. Four Thousand Old Posts That Mysteriously Disappeared. Fourteen Media Critics Who Are Very Disappointed in BuzzFeed. 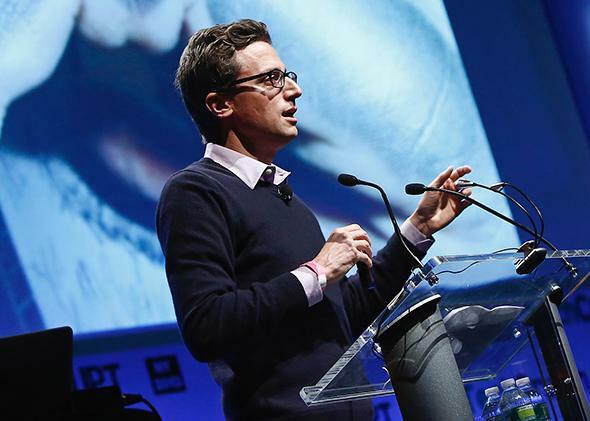 If you ask BuzzFeed founder and CEO Jonah Peretti, it adds up to One Viral Media Company That Isn’t Evil, Just Misunderstood. And, perhaps, one that could have handled certain things a little better. In the past three years, BuzzFeed has grown from a relatively obscure viral-content skunkworks to one of the most widely read media outlets in the world. According to the Web traffic analytics firm Alexa, it’s the 44th-most-popular website in the United States, putting it in a class with Fox News and the New York Times. BuzzFeed’s mastery of the dark arts of making things go viral on Facebook has endeared it to tech investors, including Silicon Valley power players Andreessen Horowitz, who recently led a $50 million venture capital round. But it has also invited envy and scorn from rivals. And it has opened the site’s practices to a level of journalistic scrutiny that its creators never anticipated. The latest backlash came this week when Gawker’s J.K. Trotter reported that more than 4,000 old BuzzFeed posts seem to have simply disappeared from the site. The discovery came as Trotter was following up on a July post in which he revealed that at least four posts, including three by senior editor Matt Stopera, had mysteriously vanished. Those revelations sparked fresh fury in media circles, where retracting a story is viewed as a serious blow to one’s journalistic credibility—and to do so without notifying readers is a cardinal sin. Retracting four thousand posts without telling anyone is simply unheard of. To many in the industry, it smacks of a disregard for journalism’s basic tenets of accountability. That apparent disregard is especially galling when it comes from an upstart that is raking in VC rounds and gobbling up top journalists from established outlets that are struggling to survive. But he insisted that the purge was not the blatant breach of journalistic ethics that it might seem. To understand why, Peretti said, you have to remember that BuzzFeed began as a tech company, not a media company. As Peretti explained at length in a recent interview with Felix Salmon, he and his fellow Huffington Post co-founder Ken Lerer started it in 2006 as a side project, a digital laboratory focused on understanding how things go viral on the Web. Rather than creating content of its own, BuzzFeed built software designed to detect and track content that was beginning to circulate widely on other sites, whether journalistic or otherwise. Along the way, a few BuzzFeed employees—including then-intern Matt Stopera—began toying with ways to create viral content of their own. Those included the thinly sourced listicles that would later become BuzzFeed’s bread and butter. But, Peretti told me, they also included scores of other experimental posts and pages that would make little sense to readers today. That changed in December 2011, when Peretti surprised the tech and media worlds by hiring a well-known professional journalist—Politico’s Ben Smith—as BuzzFeed’s first editor-in-chief. It worked. Under Smith’s leadership, BuzzFeed’s editorial team grew fast, adding not only a cadre of young, pop culture-obsessed listicle-makers, but also seasoned reporters and editors like the Guardian’s Miriam Elder, the New York Times’ Lisa Tozzi, and Rolling Stone’s Doree Shafrir. It became a source of original reporting, as when it became the first outlet to definitively track down the Twitter account of Boston bombing suspect Dzhokhar Tsarnaev. BuzzFeed’s ambition today, Peretti said, is to be “a global media company for a world where social and mobile are the biggest ways people consume media.” That means embracing journalistic practices and ethics that were not part of the site’s original DNA. And this year BuzzFeed decided it also meant going back and removing old content that conflicts with its new standards. The deleted posts all dated back to before Smith came on board, “as far as I know,” Peretti said. Posts published after Smith’s arrival, he said, are treated differently: They fall under the site’s correction policy, and in general they aren’t removed without notice. Peretti admitted, however, that he can’t say with certainty that the policy has invariably been observed. Journalistic organizations are supposed to stand behind everything they write, even if it was written years ago. They don’t just delete things because they’re no longer proud of them. (In the print era, of course, they couldn’t even if they wanted to.) But Peretti believes that BuzzFeed prior to Smith’s hire simply was not a journalistic organization. It was a tech company. And tech companies do just delete products and pages that are no longer functional or relevant. They view broken or outdated features as “bad user experience,” or “bad UX.” In the tech world, bad UX is a far greater sin than lacking transparency or accountability. Update, Aug. 15, 2014: In response to this story, BuzzFeed discovered that Spiegel had deleted the post without notifying her superiors. The post has now been republished with an editor’s note. Benny Johnson’s plagiarism was also committed squarely under the Smith regime—which may help explain why the site treated it far more seriously than it did the questionable posts from earlier in its history, like the early Matt Stopera listicles. After an internal review that turned up 41 instances of plagiarism by Johnson, Smith both fired him and posted a public apology to readers. “We will work hard to be more vigilant in the future, and to earn your trust,” he wrote. That doesn’t mean the site is pulling back on the facile listicles or pandering personality quizzes, though. If anything, it has stepped up its efforts to engineer viral content that holds little journalistic merit. On the business side, BuzzFeed has continued to pioneer the lucrative but somewhat controversial practice of native advertising, using its social media expertise to craft ads that look a lot like its own stories. Peretti said BuzzFeed will continue to push the boundaries of what a media site can be in the age of mobile computing and social media. It’s still partly a tech company, he said, even though it’s now a media company first. “If you look at the way media companies have evolved over time, the trend is that you get better and better with time, create more trust over time,” he said. “From the time that Ben joined and we committed as a company to be an editorial operation, we’ve been on that path.” The road to credibility, it seems, doesn’t always run smooth.